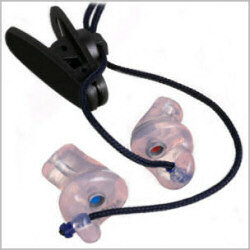 Elacin New Zealand - Products - Compact FlexComfort - Class 5 custom moulded earplugs for industrial use, shooting etc. The ELACIN Compact FlexComfort (also known as ear defenders or custom moulded earplugsor individually fitted earplugs) is a compact hearing protector with a small handgrip, which makes it easy to fit the protector and remove it from the hearing canal. It is standard manufactured from soft FlexFit materials (hardness 60 Shore) in clear transparent and comes with a cord and shirt clip. Another colour is also possible. The Compact FlexComfort can be delivered in the colours red, blue, yellow, black, beige or transparent green. Furthermore it will be supplied with one filter only; selection depends on the level of noise. 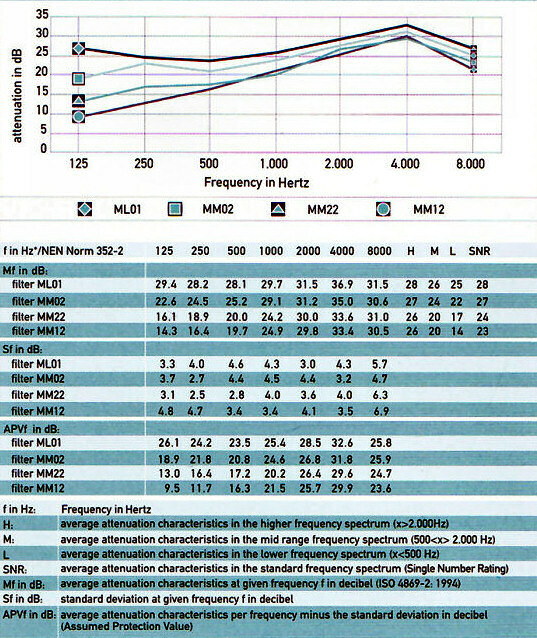 You can choose between the ML01, MM02, MM22, MM12 or the AN filter.